Eyebrows frame the eyes and are therefore an important feature of the face. Together we design and create the shape and color that best suits you and your desired goal. enhances the lash line, making eyelashes appear thicker. The amount of liner is up to you. Many of my clients prefer to start conservatively natural and later desire a thicker line; together we determine what is best for the shape and size of your eyes, and what best fits ease of your lifestyle. Men and women of all ages can benefit, whether it be an enhanced hairline or heavier, more defined eyebrow. Those with allergies or sensitivities to traditional makeup, those whose eye makeup runs or smears, or sweating; can be life changing for those with physical problems – arthritis, unsteady hands with traditional makeup application, or for those who want to save time making up in their daily routines. Permanent makeup is a non surgical procedure known as micropigmentation. It is a selective form of traditional tattooing, and its permanence is determined by many variables such as environmental factors (i.e. sun exposure) or personal skincare. 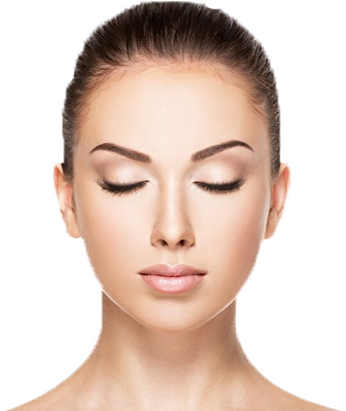 On average, permanent makeup lasts 3-5 years. I use organic pigment, not iron oxides as are used in tattooing, as they are safer and more beneficial for use in implantation. Color is custom created during consultation and then skillfully implanted with a hand held disposable needle (not a machine) into the dermal layer of the skin to simulate natural or well-defined makeup. Every procedure requires a touch-up about four weeks later; this allows us to see how the skin held the color and if any adjustments need to be made. Is that Permanent Makeup can be altered in shape or size and color, Permanent Makeup won’t change in color after a few years where typical tattooing with iron oxides will. It is safer, much less invasive (a hand held method, no machines for better sanitation), topical numbing avoids much and often less if any swelling (depending on the area done). A professional celebrity makeup artist for television, film and print with more than 20 years of experience, Deborah Paulmann now offers PERMANENT MAKEUP in her repertoire of makeup services. 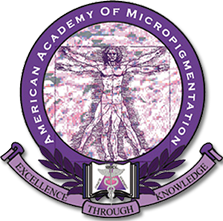 Having earned her Certification through THE AMERICAN ACADEMY OF MICROPIGMENTATION, she is doubly certified having studied over a year with expert instructor KARMA VIEIRA. She now brings her creative expertise to the art of Permanent Makeup. Her journey into micro pigmentation is an extension of her work with burn survivors also having been certified with THE PHOENIX SOCIETY OF BURN SURVIVORS. A minimally invasive technique called “the hand method” is used for implantation of organic pigment for eyeliner, eyebrows, lips, skin matching and correction; allowing for gentle and comfortable procedures with the use of topical anesthetics. These services go beyond typical beauty makeup as the advantages of Permanent Makeup far surpass beauty enhancement and have unlimited possibilities for so many men and women. With her excellent experience with traditional makeup, Ms. Paulmann can help design or re-design the perfect enhancements for anyone. From those wanting to save time by waking up with makeup, and ranging from pre and post cancer patients, Parkinson’s patients, the visually and/or physically impaired, scalp enhancement or alopecia sufferers. Also, those who don’t feel capable of their own makeup skills, or have less than perfect brows or lips and suffer with makeup allergies or sensitivities to cosmetics. PRICES (determined by the service desired, or per hour in certain procedures) Touch ups recommended 1-2 years, reasonably priced.